Home » acceptance » Lessons from Alice in Wonderland: We’re All Mad Here!!! Lessons from Alice in Wonderland: We’re All Mad Here!!! 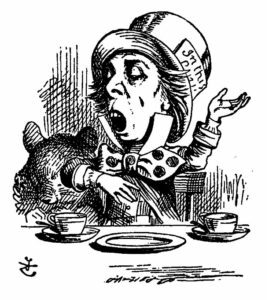 Posted by Ryan Thomas Neace on Jul 31, 2017 in acceptance, alice in wonderland, embracing current station, laura brackett, radical acceptance, self-acceptance, St. Louis Counseling | Comments Off on Lessons from Alice in Wonderland: We’re All Mad Here!!! One of the more common questions I’m asked in therapy is, “Am I crazy?! !” My clients tend to wonder how they compare to all those “normal” people out there. 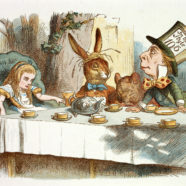 Alice initially resists this sentiment, and therefore, also resists taking her place in Wonderland. However, as the story progresses and she embraces her place in the madness around her, she is better able to move through it and return to her life as a changed person. Perhaps there’s something to be learned from her journey. Like Alice, we’re all in Wonderland at some point in our lives, whether grieving a loved one, recovering from a painful relationship, or managing difficult feelings like anxiety or depression. And also like Alice, many of us try to resist or hide these struggles from ourselves and others, which typically leaves us feeling shame and isolation. Feeling this way is understandable, but ultimately not productive. In our role as therapists, we invite people to embrace their madness a bit more fully, believing that ultimately it is likely to lead to stronger relationships, increased self-confidence, and a fresh perspective. And above all, embracing yourself and your current station can create a renewed hope that change is possible. Laura Brackett, MEd, PLPC, is a therapist at Change, Inc., the premier counseling and wellness center of South City, St. Louis, MO. Contact her for counseling at 314-669-6242, or contact@changeincorporated.org.